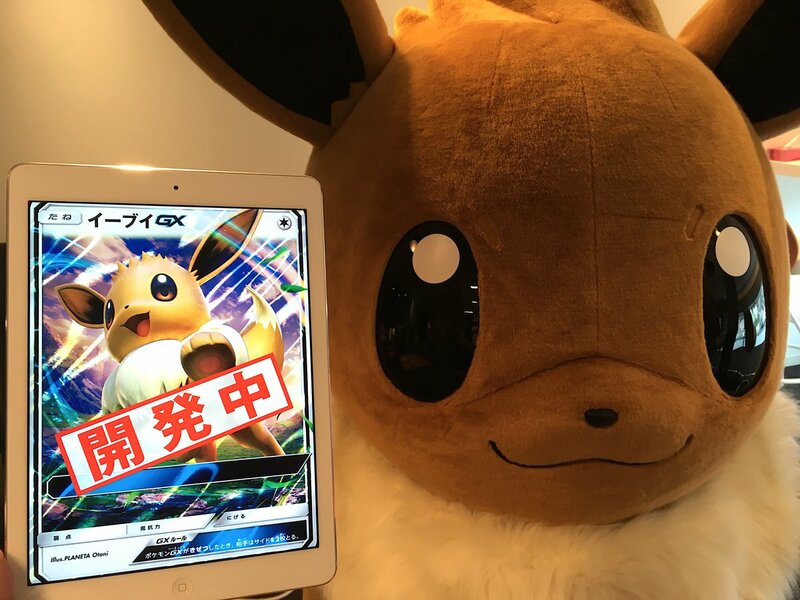 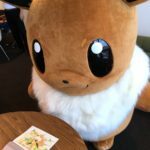 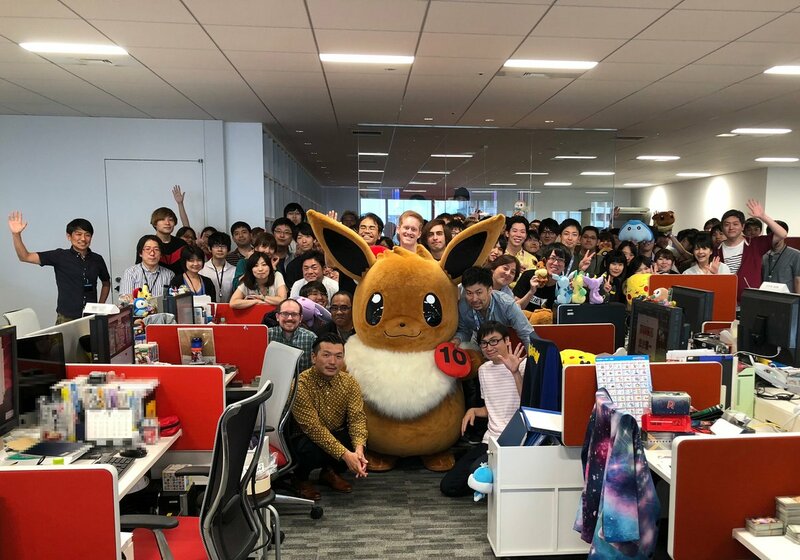 This week, as part of Eevee’s corporate field trips, the furry Pokemon visited Creatures Inc’s headquarters in Japan. 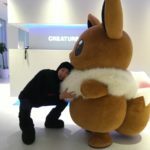 In case you are unfamiliar with Creatures Inc, they are one of the three companies that own The Pokemon Company. 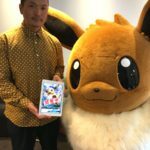 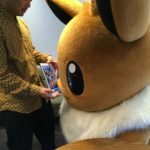 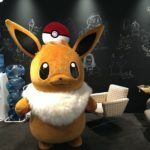 Creatures Inc is involved in making and designing Pokemon TCG products as well as 3DCG and the Detective Pikachu game. 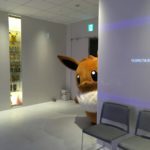 Eevee fails to use the telephone at the reception area and gives up in anger. 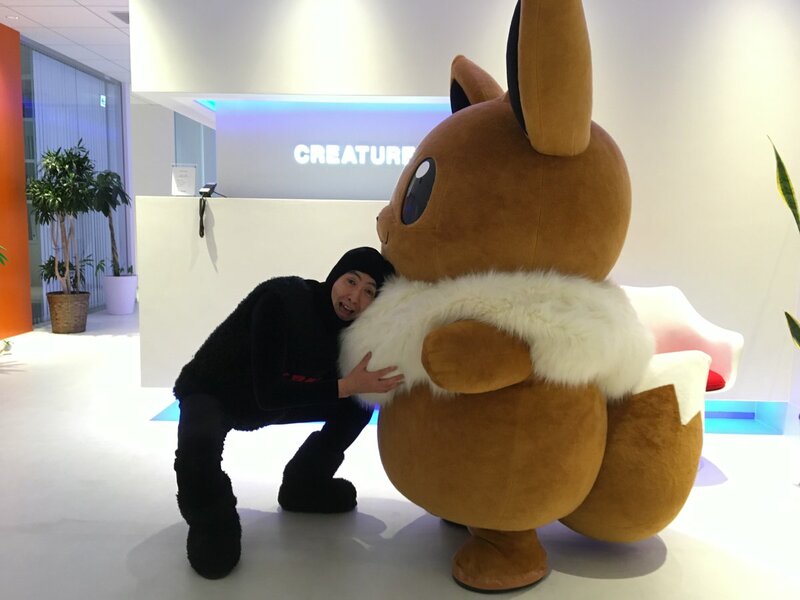 Wait… what’s that mysterious creature in black?! 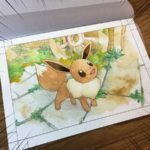 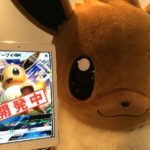 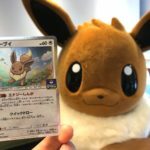 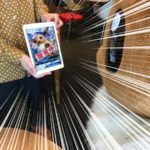 Creatures Inc shows Eevee a new Eevee GX Pokemon TCG card that is currently in development! 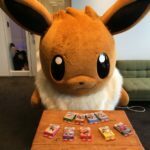 Eevee takes a look at some Pokemon TCG products, but encounters the scary man in black! 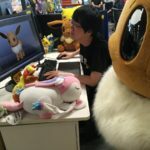 The mysterious man in black tries to capture Eevee! 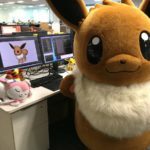 Eevee tries to mimic its very own computer generated animation! 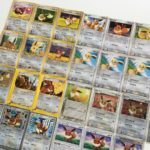 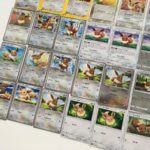 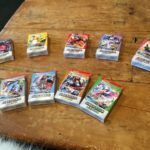 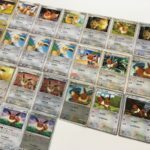 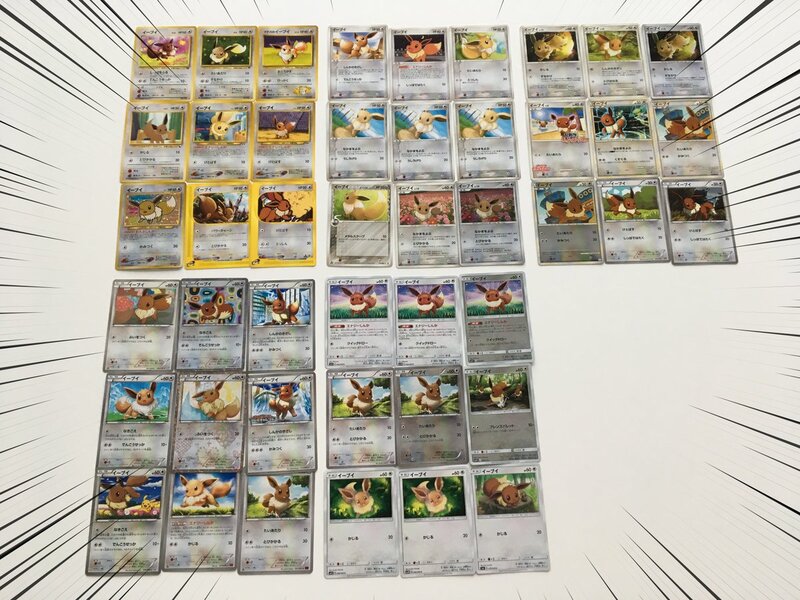 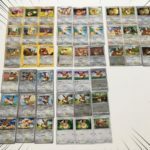 A look at every single Eevee Pokemon TCG card ever released. 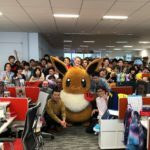 The team at Creatures Inc. take a photo with Eevee! 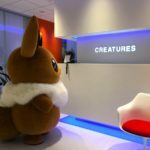 Turns out the man in black is none other than the CEO of Creatures Inc. 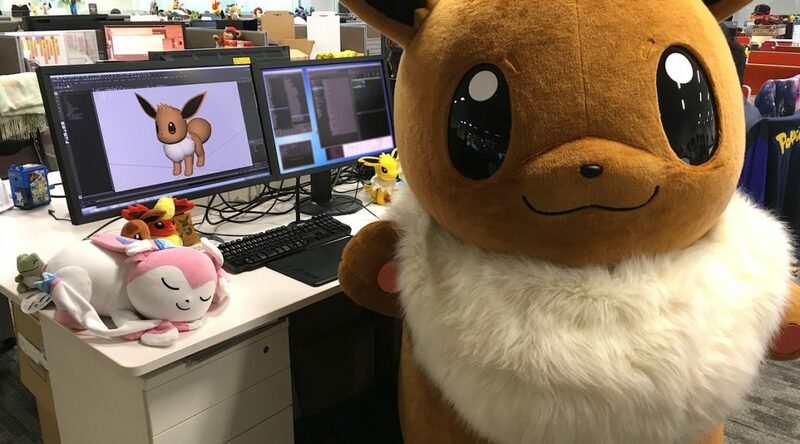 Check out more photos from Eevee’s visit to Creatures Inc below.